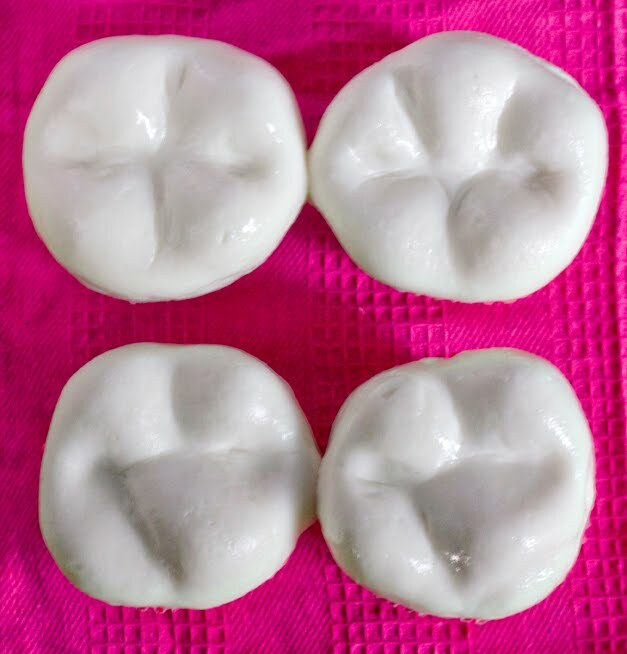 As dentists-in-training we mold teeth out of many materials – amalgam, resin, wax, acrylic – it really was only a matter of time before I made a few teeth out of cake, right?? As if my EKG cookies weren’t nerdy enough, I’m taking it to a whole ‘nother level with these molar cupcakes today. I’m sure only those of you involved in the field of dentistry can truly appreciate these, but for the rest of you, the anatomy is pretty accurate, and if anything, they’re pretty cute too. 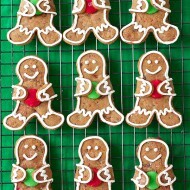 I had SO much fun making them, probably because they are the perfect hybrid of my life right now – baking and dentistry. Now if only I had somehow made them sugar-free, then they’d really be the perfect hybrid! Now that I’m in my third year of dental school, I’m finally treating patients and spending more and more time in clinic and less time in class. It’s been a great transition so far and I’m definitely enjoying the patient interaction and application of the skills we’ve learned in the past 2 years on fake teeth. These cupcakes are kind of a celebration of the start of this next chapter in my education, and hopefully my crowns and fillings for patients will come out as pretty (but definitely less sugary) as these! For the cupcakes – whatever recipe you want! The fondant needs to be made 24 hours in advance, so prepare fondant according to recipe’s instructions and place in fridge until you’re ready to make the cupcakes. Bake cupcakes and allow to cool completely. I baked 8 cupcakes total, decorated 4, and used the other 4 for the cake ball mixture. For the cake ball mixture for the cusps, crumble up remaining cupcakes and mix with a few tablespoons of frosting, until the consistency is malleable but not too wet. Apply a thin coat of frosting to the tops of the cupcakes and start forming cusps out of the cake ball mixture using an offset spatula. Roll out fondant to 1/4″ thickness, using powdered sugar to prevent sticking. Cut out circles slightly larger than the diameter of the cupcakes and drape over cusps. Use a sharp knife to trim the edges and tuck the edges in with your fingers and an offset spatula. **One sweet reader sent me this “Sweet Tooth” mug after loving these cupcakes. If you’re a dentophile like me or know someone that is, check out her great site for some cute dental-themed gifts! I’m studying nursing and I’m involved in the whole anatomy/health thing, so I really appreciate these too! Absolutely adorable! Too cute — the dental student in me thinks you anatomy is spot on! Oh my goodness, these are too perfect. Um, I’m so in love. My husband is in his third year of dental school too, and I know he might fall over and die if he sees these cupcakes (especially if I’ve correctly molded lower first molars for him ;)) I made him these http://fullmeasureofhappiness.com/2011/07/22/iced-coffee-with-teeth/ when he was studying for his boards–thought you might get a laugh out of them too! I checked your link and really enjoyed seeing teeth floating in coffee! ;-) Gotta find me some molds…someday. Did you make any with cavities? ;) These are quite handsome! I just discovered your blog and I’m in love! I’m a senior in college and I just finished the application process for dental school! I absolutely love cooking and baking, too! 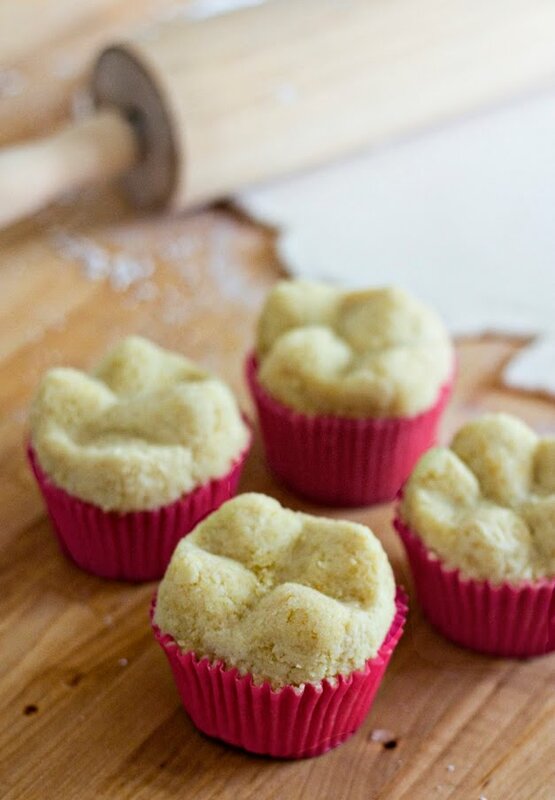 These tooth cupcakes are so cute! As a fellow dentist in training (D2) these are AWESOME! I am going to have to make them. I like your cusp of Carabelli! These are awesome!! I have never seen anything like them, but they’re really great. They are completely adorable and amazing! I’m impressed your anatomy!! They are the cupcakes I made for our other hygienist’s birthday. Good luck in dental school! I can’t believe you have time to bake, too!!! Oh wow! 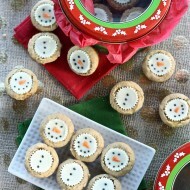 I am SO excited to make these! Fabulous idea, as always! These are so adorable, I just had to come and comment. Such a clever idea! I found these linked through Pinterest… SO cute! I’m a dentist and will definitely be making some molars! ahh i want to make these for my husbands dental office! great idea! my bf is in d’school and he’ll love these!! @Morgan…Dental staff love goodies! That is awesome that you think of them. I am so making these for my doctor. I am a dental office manager and also the office baker. I do all the birthday cakes. We are going to the ADA in Vegas in October so I think I’ll be making these right before we leave! Wow, look at the pretty white teeth! AMAZING! I NEED to make these for my son-in-law, a dentist:) He graduated from Creighton dental school last year. Thanks for the great tutorial! These are AWESOME! I am a 3rd year dental student too (at MUSC in Charleston). I found these during lunch, and some classmates saw my screen – we were all amazed. Awesome anatomy by they way :-) Can’t wait to make these for a special dental occasion – at least for graduation if not before. Thanks for sharing! My husband is a D3 and saw the screen while I was looking at these and he started naming the teeth, said they look great! These are too cute! I am also a dentist so of course they are extra special! Only thing missing is the cusp of Carabelli!! Oops! Now I see the cusp of Carabelli! It was just too bright on my phone! Cool!! 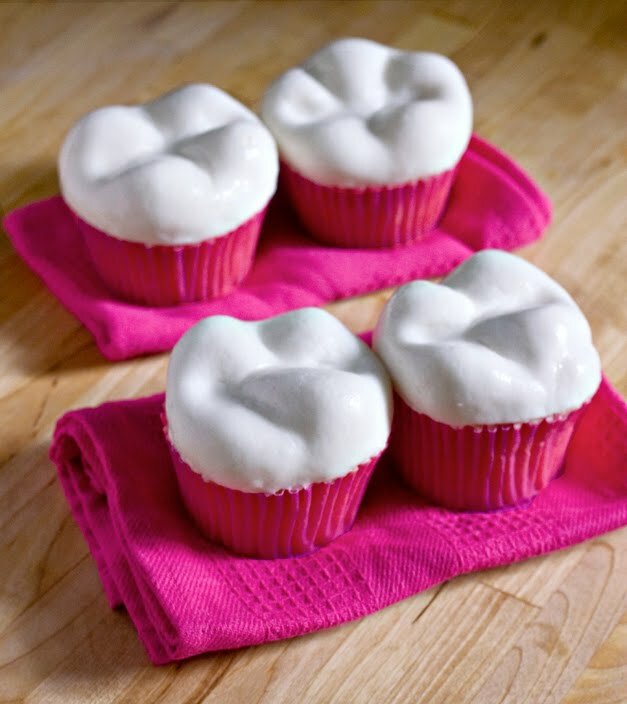 A non-dentite emailed me a picture of your tooth cupcakes, but it only took a few seconds on google to find the source. Due to the extreme accuracy of the dental anatomy, I knew they had to be made by a dental student. I showed the photo to many of my classmates during lecture and everyone was impressed. Respect! Hi! So happy to see a fellow dental student that enjoys baking! I’ve shown your blog to several girls in my class and we’re going to recreate these fantastic cupcakes soon. I can only hope our oblique ridges will be as awesome as yours! Oooh Wow! These tooth cakes are really really adorable. Good job! AHHH! I love these! I’m a dental hygienist and also love to bake, thanks so much for sharing! Linking! These are so adorable! I’m a dentist with a sweet tooth. and these are so cool! Maybe you could ad some realism to these with raisins crammed in the grooves! I love these! Cannot wait to make them! I’m a dental student and I showed these to my fellow classmates and they are hounding me to make these!! They look so yummy! Thanks for sharing! i’m glad that you’re finding time during D3 to do fun things other than stress about treatment for your new patients. I am a dental hygienist and baker myself and I came across this recipe while searching dental related topics. LOVE them! I just cannot stop staring at them! I love how you used marshmallow and made them shiny! I’m in Dental Hygiene school right now and I LOVE LOVE to bake! I can’t wait to FIND some time to do these! So adorable! As coworker in the dental field, we appreciate your artful cupcakes.. really want to try these for my girls in the office.. wish me luck. Thanks cute idea. 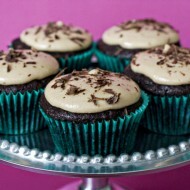 I’m a hygienist and I have a bit of an obsession with making cupcakes – these are next on the list. Love them! This was a huge success last saturday when we gathered dentists and dental hygenists for a colleague night! Thank you so much for this superb recipe! We <3 teeth! i think this is anatomically wrong…but good try buddy! your proximal contacts on your mandibular molars are too lingual. Very astute observation “Anonymous”. A lingual contact would precipitate a smaller than normal lingual embrasure, and would also throw off your heights of contour. And don’t even get me started on point and line angles…But hey, A for effort, right? Sweet succedaneous, are these teeth for giants??? These aren’t feasible as implants. HI there! I’m a dental student at Ohio State! A friend and I made these today :) They turned out great! I’ll be posting it on my blog soon! Such an awesome idea! JUST found this, and as an RDH of over 10 years I was just squealing with excitement. Thank you so much for sharing them. I hope to make some and then maybe even put an AMALGAM FILLING in one of them??? Is that too over-achieving? ha! We are Maltese dental students… Well done they look amazing! Very impressed with your anatomy, would love to see your composite shaping and amalgam carvings. you must be pretty good at it :) keep up the great work! Found these on Pinterest. I just might have to attempt to make these when my daughter loses her first tooth! I am on a Dental Hygiene Committee at our local VA. I play around with baking cakes and since the unit I work on saw a Pool Table Cake/pool balls I made, I was approached to make a ‘tooth cake’ to celebrate how well we are keeping up with the oral care of our Veterans. I was at a loss, until I came upon your picture! Thank you so much for the inspiration! I think these are awesome! 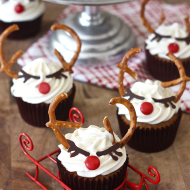 I’m going to make these for my ortho office the day i get my braces off! OMG I just saw these for the first time and wish I had seen them before I went to my dentist (whom I used to assist for) in December! 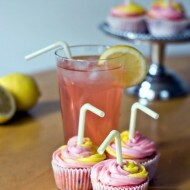 I will be making these for our next visit in June!!!!! I’m trying teeth cupcakes some time soon, but in a different way. These are awesome. I am a dental hygiene student and I think i might make these for my class they would love them! Before I read that you were a dental student I was like wow these are really accurate this person must be in the dental field! they are great! This is great i want to make them for my d hygiene class! I am a dental assistant and am totally making these for our next staff meeting! They are adorable! so, of course, I sent this to my daughter the dental hygenist. You have a very active mind.Not a bad thing! Really impressed with your dental anatomy skills! I just made these for my son’s preschool class…they are having a dentist come to speak for dental hygiene month, and these are the perfect addition!! SO creative! My little brother ids getting ready to graduate dental school and I think these will be perfect for his graduation party. I probably will not be able to make them look exact but I sure will try. Thanks for the idea. As a dental assistant, and a huge cupcake fan, these may just make it into my office! Excellent Anatomical representation. I predict your posterior composite restorations will be enhanced for the effort and skills learnt in the kitchen! RDH here and in LOVE with these! So creative..I wish you could do a whole blog on dental stuff….So impressed! Awesome, just AwEsOmE! What a great idea!! I study dental laboratory technitian (I think this is how you say it in english) and also love to cook, so definitly I will do this great cupcakes. Thank you very much for the idea!! I love these! I study the evolution of human teeth. This is definitely my inspiration to make replicas of fossil teeth. DDS here and a baker as well. I saw this on pinterest and thought the anatomy was too good to have been done by a non-dental person. Good use of the waxing technique for your cusps! I’m a hygienist who likes baking, too! These are adorable! I work in a dental lab. Ha. These are amazing. Going to try them for sure…maybe stain the occlusal grooves… Loved your EKG cookies, too. Will be visiting your site again. Thanks. Hi there! I saw these on Pinterest, and LOVE them! I’m a Dental Assistant here in NC, and I love to bake, so I will Def. 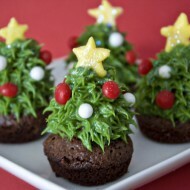 try to make these. And they represent Molars very well! Great job! I’m Currently in a Dental Hygiene course and will be graduating very soon, I am hoping to wow my class with attempting to make these as a “fairwell” gift. Fingers crossed they’ll resemble somewhat like yours! Excellent work! My dad has made me watch countless oral surgeries, while re-cording the video…over Sunday morning breakfast… He owns dental labs. I have just found the BEST idea ever for his birthday cake this year! Good luck with school. If you’re serious about trying some sugar-free baking, I recommend getting a bag of xylitol or erythritol and giving it a try! Both of those taste great and work almost exactly like sugar. Lots of info online…and the xylitol has added benefits for teeth and other things. 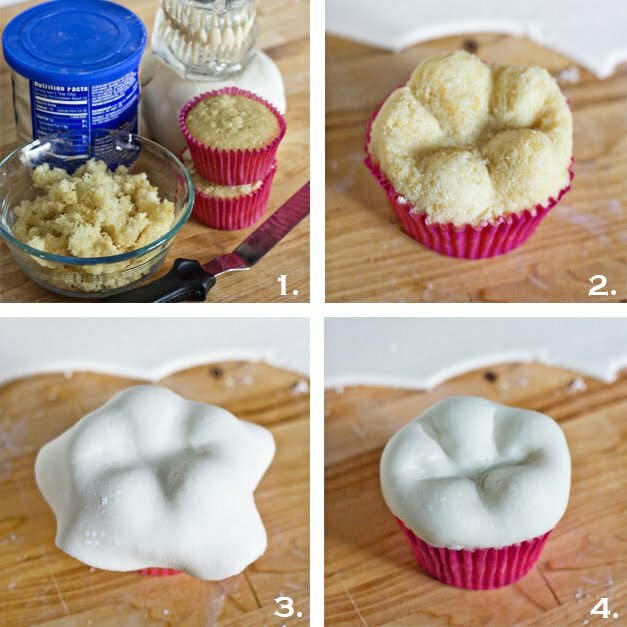 Love it…going to try to make these tomorrow as a way to review my dental anatomy! I am a D2 student! I was surprise how I was browsing through your blog and was able to recognize each tooth’s characteristics while my friend sitting next to me look at me all weird. Just made these for my husband as he wraps up 3rd year of dental school – thank you! So cute! My husband has been a dentist for almost 11 years, and though he is uninterested in anything tooth related now, I remember his enthusiasm for all things dental during school! Good luck to you. And a plus, everything is better than being a D2! WHAT ABOUT POWDERED XYLITOL!?!? I’m SO gonna try that instead of sugar! Xylitol is a cavity inhibitor also! :D :D :D How awesome would THAT be! I have been in denistry the majority of my life.Great idea,unique and colorful. love this! My husband is now in his second year of orthodontic residency, thinking this would be an awesome thing to make for his class as they start the new year, any ideas on what would make good braces? Hmm maybe some fondant dyed grey with a bit of silver disco dust painted on?? Good luck! I love these. The Kid is in dental school, but I don’t think these will ship 3000 or so miles. Won’t he be surprised at xmas. Found them when I was looking for DIY dentite-themed xmas ideas. Think I’ll send him a felt gingerbread tooth garland to get him in the spirit of the season before he gets home. It’s considerably easier than the brain stuff I did for his dad. Ich liebe sie alle! Ich unterrichte Kindergarten und ich bin dabei, um ein Thema zu machen, und Photographien haben mir so viele Ideen! Sie sind so talentiert! Vielen Dank! OMG, they are adorable! 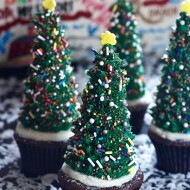 Just found your blog on pinterest and I am amazed by these cupcakes!!! I really appreciate the anatomy! Have you ever tried to do premolars or canines? If so, I’d be interested in seeing! These are adorable and your dental anatomy is superb! I understand the whole dentist-love sweets dilemma….although, I don’t think it’s a dilemma. Happy Baking! They are adorable, would be wonderful idea to use them as gifts for birthday parties. wow, they look a bit like cake pops. My sister is a hygenist and her husband is a dentist. I love finding cute tooth stuff for them. I love it. You are the best… I’m a dentist and I just started cake decorating for fun but this my dear is the best! I’ll give it a try once i learn how to make and manipulate fondant. These are so great!!! My dad is a dentist and will be retiring very soon. I would love to make these for his retirement party. 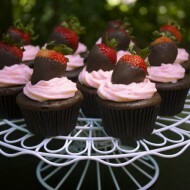 love these just graduated my dental assisting classes n im going to make these for my party! me, putting my words out there. I feel exposed. ought to love being exposed to become a writer? 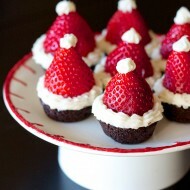 MUST MAKE THESE! My husband is a dental tech and after 13 long years working for a lab started working for a private dental group that houses their own in house lab. I adore the group of people there so much and will have to make these for them. What a hoot! I also must make the EKG cookies as I am presently in school for medical assisting and we just finished our cardiology section. :) So stinkin cute!!! Goodness, the amount of name-dropping & d-measuring (& “d” doesn’t stand for “dental” lol!) on here! Anyone being ugly about your (AMAZING) dental anatomy skills needs to put their dough & oven mitts where their mouths are… Because you did GREAT!! I’m so in love with these. My husband is a DS2 (OUHSC), & we’re having a “Bah Humbug to Boards” party over the break (HOORAY for that being over! )… I cannot wait to surprise everyone with this! I’m just in school for hygiene, so my waxing experience has only been for fun… Luckily, my husband saw these & was more than pumped to help me with them!! ;) Cannot wait. I really appreciate you sharing!! These are soo cute! I’m currently an undergrad Biology major and getting a degree in Dental assisting as well to prep myself for Dental school and I’m required to sculpt a tooth as my final dental morphology grade and while studying I stumbled upon this and OMG. I am so doing this, I admire your love of baking and dentistry which is reminiscent of mine! These are so beautiful and anatomically correct, I am in love! Thank you so much! Now… of course I had to reblog about it. To be honest I was a naughty girl and stole two of your pics here. Ofc I’ve given you full credit and linked back to you. I really hope it’s ok, if not just e-mail me! Thanks alot for a lovely blog and wonderfull pastery! I have a dental rep. that would love those for her clients. This is a great post! As a dentist, there are many points I can relate to. Visit my site to find out what services I can provide for those with an extra sweet tooth. Pingback: Alba Clínica Dental | CUPCAKES EN FORMA DE DENTS!! !.